There are seven islands in total that make up the Aeolian Island archipelago, each one with very different characters and activities. 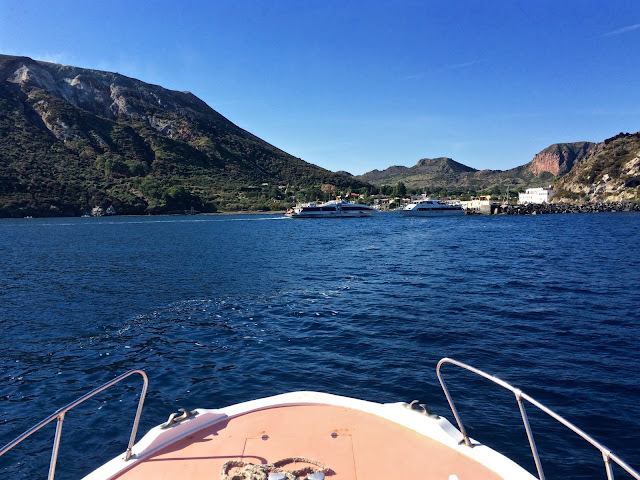 Lipari is the buzzy big city island, Salina the relaxed elegant one, Vulcano and Stromboli are for hearty outdoorsy types, Panarea is polished perfection and has a renowned nightlife and Alicudi and Filicudi are for those seeking solitude and nature. There are plenty of activities for you on the Aeolian Islands year round, but know that ferry service is limited from November until April. 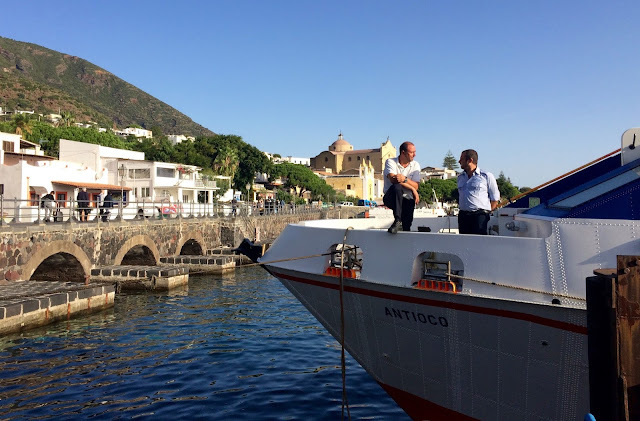 There is once daily hydrofoil service from Naples to Lipari, Vulcano, Stromboli, Panarea and Salina from the end of May until the beginning of September with SNAV. Siremar operates twice weekly overnight ferry service year round to Stromboli, Ginostra, Panarea, Rinella, Lipari, and Vulcano. 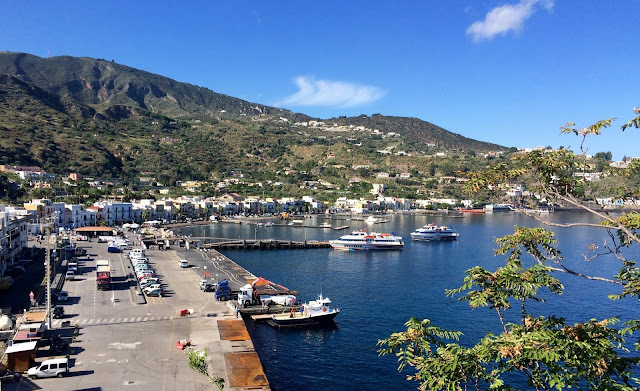 Ustica Lines provides year round hydrofoil service with daily departures to Lipari, Salina, (both Rinella and Santa Maria harbors) Stromboli, (both Ginsotra and Stromboli harbors) Vulcano and Panerea. 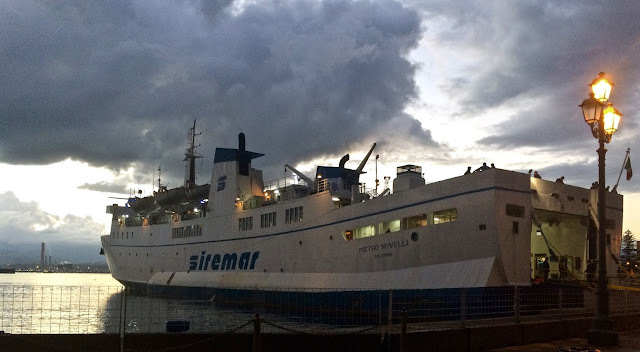 Siremar operates both ferries and hyrofoils to Lipari, Salina, (both Rinella and Santa Maria harbors) Stromboli, (both Ginsotra and Stromboli harbors) Vulcano and Panerea. There is limited direct service to Filicudi and Alicudi. 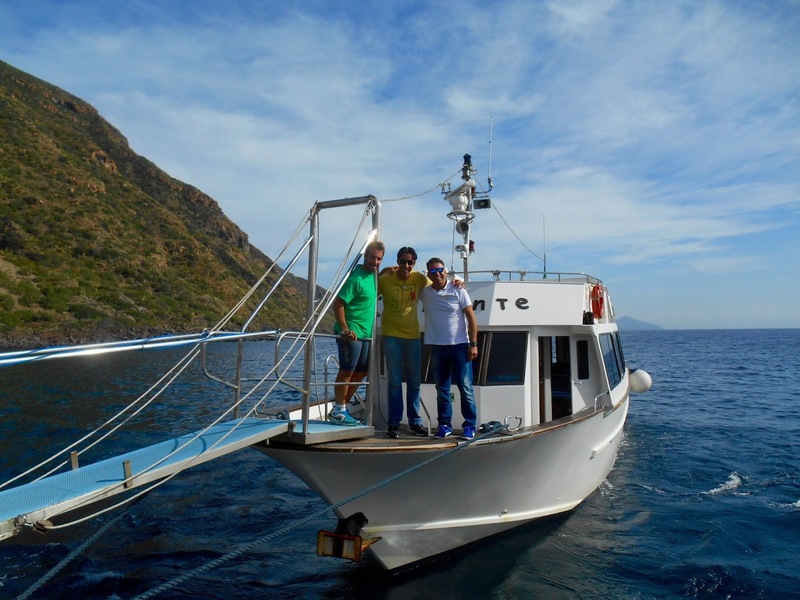 Ustica Lines operates year round daily hydrofoil departures to Lipari, Salina,(both Rinella and Santa Maria harbors)Panarea, Stromboli (also Ginostra), and Vulcano. You can book your tickets online directly through the ferry companies or from ticket offices at your departure port. In high season boats fill up quickly and lines are long, so I advise advance booking. From October until June you need to be prepared for bad weather. This can mean that you are delayed at either side sometimes for a day or two, or a ride on rough seas that will make you queasy. Siremar has a downloadable App. It is roughly a two hour drive from the Catania airport to Milazzo.